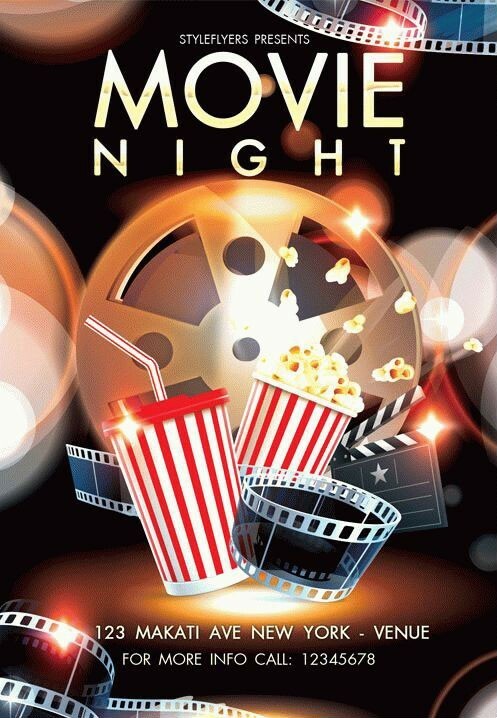 Get this amazing Movie Night Flyer Template! It can be used for many occasions and in different ways. It can become a poster for a one night with movies. Use it to make a good advertising for any film festival. And of course, it can be used for inviting friends to your home movie night! We love to pass the evening watching a couple of good movies. However, we do not think that many movies are not just a way to kill boredom or to earn money. For many people cinema is art. Many people watch films just to have a rest. And it is right, because it is impossible not to relax at all. However, for many actors, directors and movie viewers in general – it is the way of self-expression. Place your data on them, names of the movies and the necessary time and be ready for many people wishing.